I’ve got a soft spot for mice. Not the furry kind mind you, because as a child I was always on Tom’s side when he was receiving horrendous physical abuse from Jerry in the Saturday morning cartoons. I’m talking computer mice, and specifically gaming mice. We’re in an age now where such devices are no longer just USB-tethered navigation devices with a gigantic ball inside of them. The gaming mouse of today is a specialised device, something that is meant for specific games and scenarios. And Logitech is looking at those markets for their new G303 Daedalus Apex mouse. It’s a mouse that isn’t too dissimilar from previous Logitech efforts, as the Daedalus Apex uses the same body as the G302. Externally, there’s very little difference in mice. 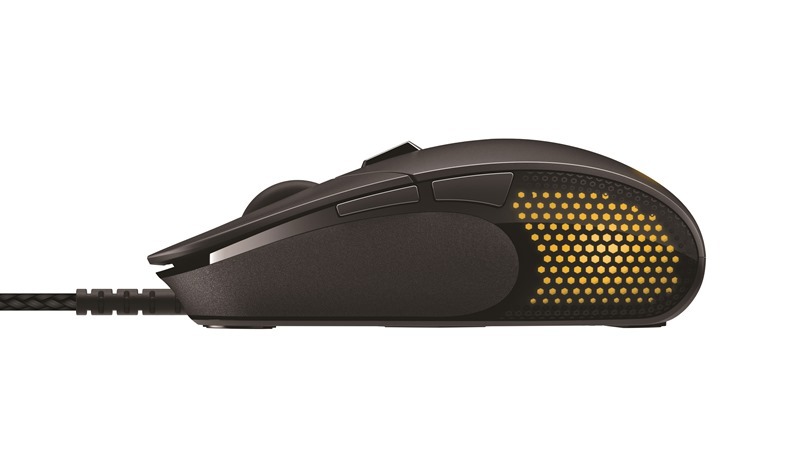 Internally however, the G303 has a new sensor inside that was used previously by the G502 back in 2014. It’s capable of 12 000 DPI on the fly, accurate at speeds of up to 300 inches per second. That makes for a lethal combination, perfect for a round of (INSERT MOBA GAME HERE) or better yet, a proper FPS. Sounds like a solid little lightweight mouse. Hopefully, we’ll see it released on this side of the globe, soon.